NEW BEDFORD, Mass. 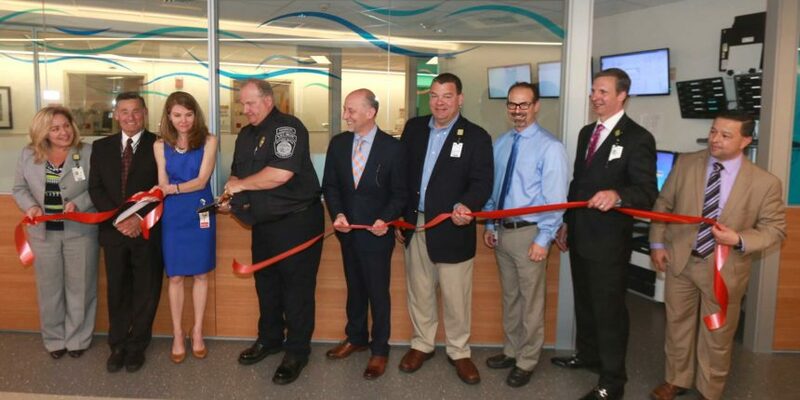 — Southcoast Health announced today that it has opened a Rapid Assessment Zone (RAZ) in the emergency department at St. Luke’s Hospital in New Bedford. The $3.8 million project will help emergency department staff to provide more timely and effective care to all patients – from infants and young children to the critically injured and those suffering behavioral health problems. “The goal of the RAZ is to improve every patient’s emergency department experience though the provision of more timely assessment and increased privacy. Not every patient will be seen in this new treatment area. The patients who require more in-depth critical resources will still be seen in the main emergency department, while the new RAZ will focus on those patients with less complex and immediate healthcare needs. All of these components will come together to ensure that patients across the region receive the best and most efficient care possible in their time of need,” said Dr. Jennifer Pope, Chair of Emergency Medicine at St. Luke’s Hospital. The new area will be approximately 7,500 square feet, with an 18 bed capacity, and will provide comprehensive critical care resources by combining the historical concepts of Express Care and triage into one new rapid treatment model. and adding value to the patients journey through the system. St. Luke’s Hospital has the third busiest emergency department in the entire Commonwealth with over 90,000 visits annually. Much of this has to do with the health and socioeconomic disparities that exist in the region. For example, over 11 percent of New Bedford residents are uninsured compared to less than 4 percent statewide. Those who are uninsured are far less likely to take advantage of preventative care services, rather than seeking treatment when symptoms become acute. “We understand that many of our patients face significant cultural, educational and socio-economic barriers. At Southcoast Health, we strive to be a resource for those individuals and their communities – to embrace them in our mission to provide quality healthcare to all,” said Keith A. Hovan, President & CEO of Southcoast Health.Southcoast Health provided more than $160 million in charity and state subsidized care over the past year. As the only not-for-profit healthcare system in the region, Southcoast Health annually invests nearly $20 million in community benefits, including charity care, hospital-based programs, collaborations with community health centers, regional health and human service partnerships and support of community health programs. Adding to demand at the St. Luke’s emergency department is the rapid uptick in opioid overdoses. While this is a national epidemic, the impact on the New Bedford area is among the most extreme in the state. Last year, the St. Luke’s emergency department treated 783 opioid overdoses; up from 588 the prior year. To learn more about Southcoast Health, visit www.southcoast.org.